Elton John has revealed he could have died "at any time" after being struck down with appendicitis, and admitted he’s "lucky to be alive". Elton John is "lucky to be alive" after being struck down with appendicitis. The English singer-songwriter cancelled his remaining summer concert dates yesterday after falling ill with the condition, and has now revealed how he’s been playing through agonising pain and could have could have died "at any time". He said, "I was a ticking time bomb. I guess I could have died at any time. "I feel so lucky and so grateful to be alive. I played nine gigs and the White Tie and Tiara Summer Ball in agony." The 66-year-old singer initially thought he had food poisoning but medical tests showed he had a potentially-fatal appendix abscess. Elton was given drugs to reduce his inflamed appendix and antibiotics to lower the chances of him getting blood poisoning. He’s now resting at his home in Windsor, southeast England, and will have surgery when the swelling has gone down. 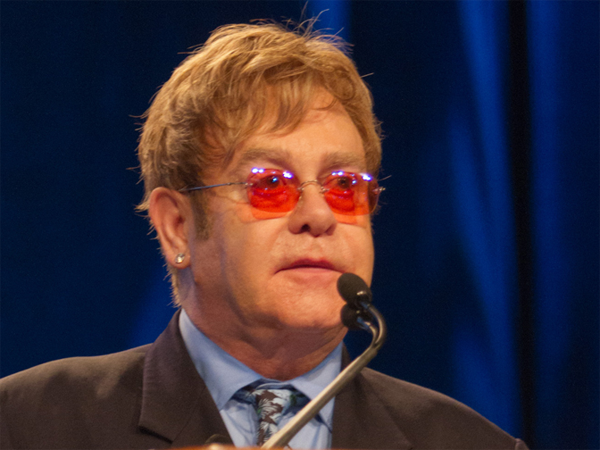 A source told The Sun newspaper, "Elton is over the worst but is still very sick. It's been a horrible ordeal. "He hates not being able to do gigs he was booked for. But there's no way fans will blame him considering the ordeal he's just been through." Elton ? who has two-year-old son Zachary and seven-month-old son Elijah with his husband, David Furnish ? has played 170 gigs in the past year and hopes to be back for his iTunes Festival and Bestival shows in September.